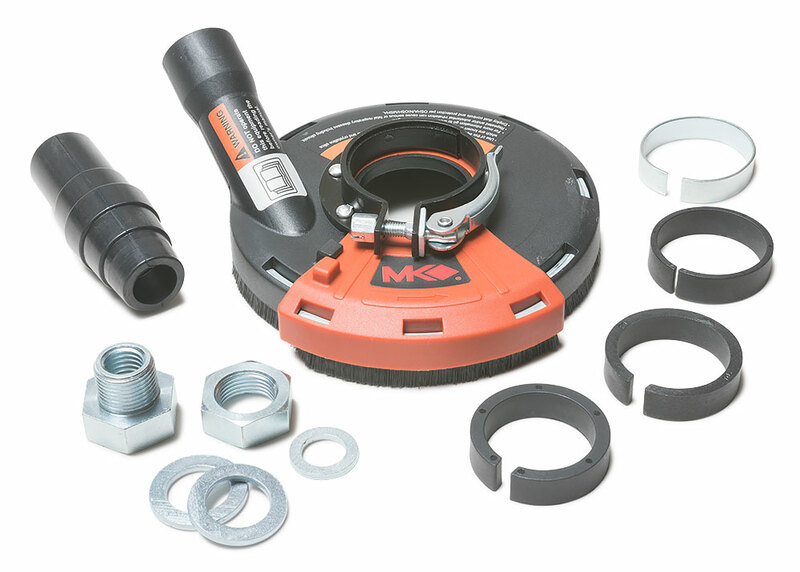 The MK Diamond 5" Swing Shroud is designed for concrete and surface grinding dust control. 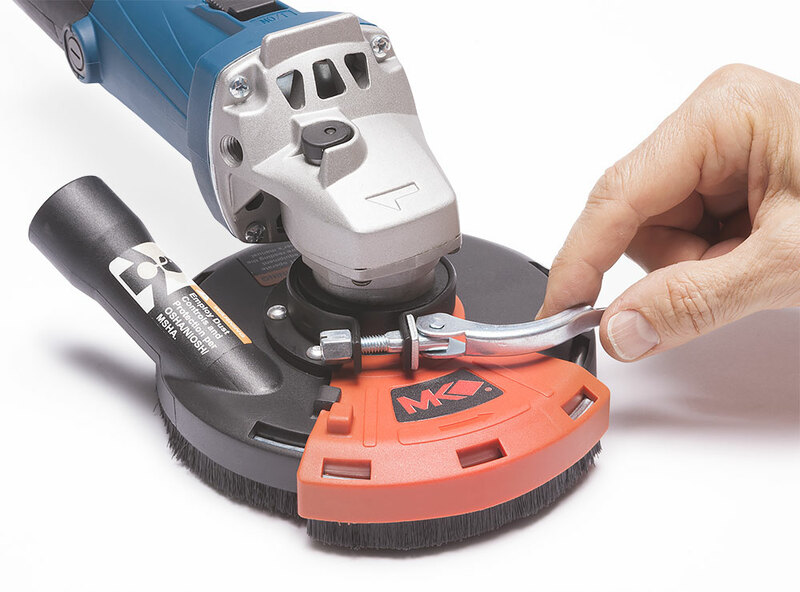 The shroud is made from an “abrasive resistant” plastic to prevent wear from the grinding process. 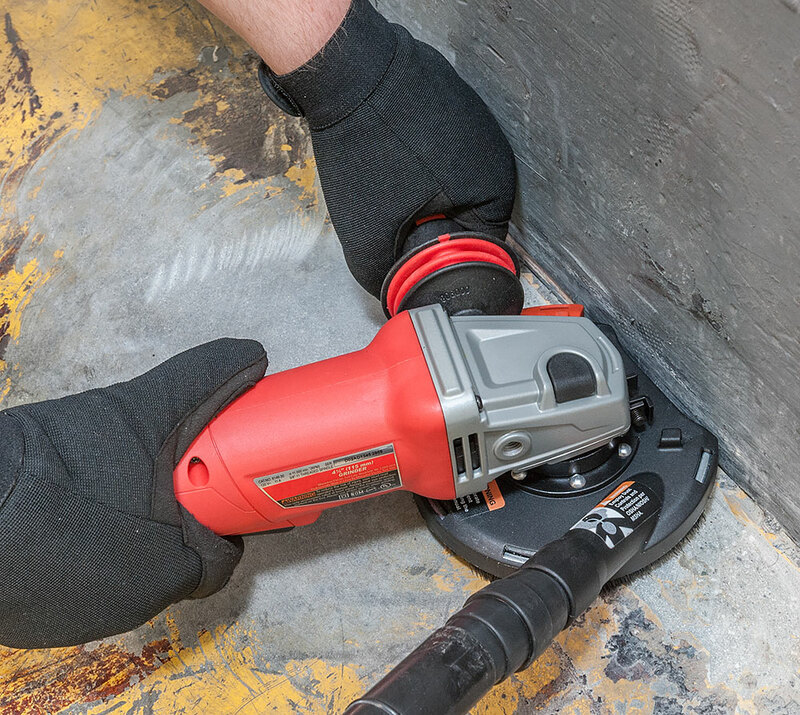 The hinged nose shroud easily flips to the side for grinding against walls and edges. 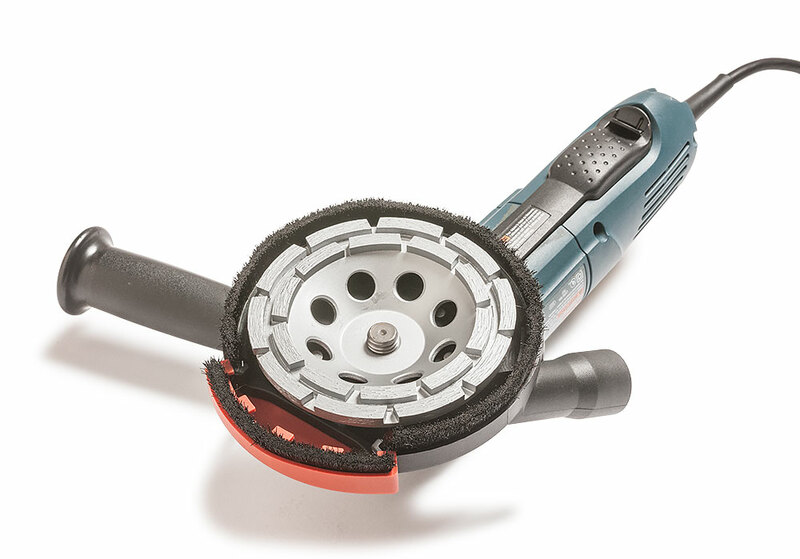 The use of a shroud prolongs the life of the tool by preventing abrasive dust and debris from entering the motor. 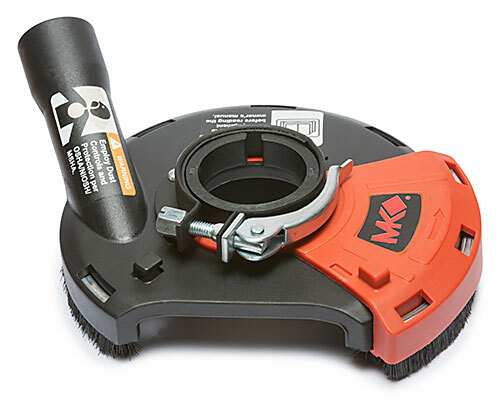 The 5" Swing shroud is easy to install on most popular grinders using the included adapters. Click on thumbnails for enlarged images.